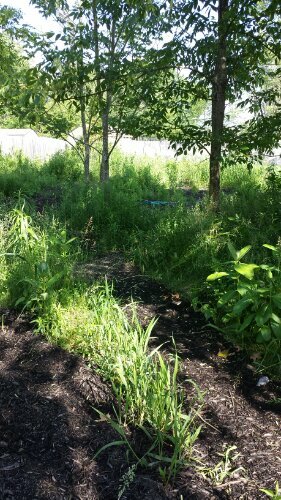 Recently I wrote about building a nature preserve garden in Ballston Spa, NY. The project occupies a space of approximately a half an acre in Saratoga County, and it’s difficult to capture the beauty and all the different perspectives of such a space. So. Here are a handful of photographs that were not included the first go round. The native Dogwood tree will become more beautiful and more spectacular every year that passes. 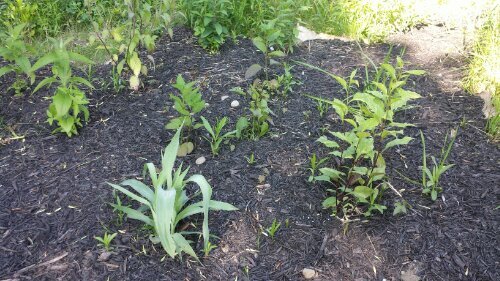 One of three meadow style wildflower garden beds is going to be stunning. 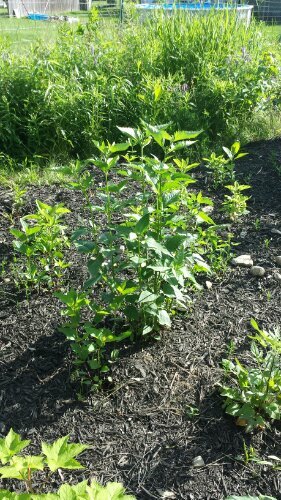 All the plant choices used for this project were NY or US native plants, which makes a garden low maintenance by default. 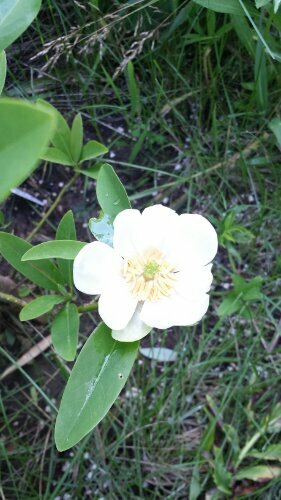 No fertilization or pesticides will ever be needed. Rattlesnake Master (Eryngium yuccifolium), one of only a handful of locally native plants that are succulents, is the centerpiece of this meadow wildflower garden bed. Poison Parsnip dogged my every step all throughout this project. One day I thought for sure a Parsnip rash would break out on my face, thankfully it did not happen. 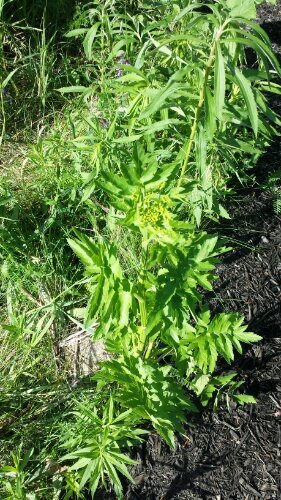 Poison Parsnip does offer habitat value, giving pollen and nectar to pollinators and thus creating more stock bird food. 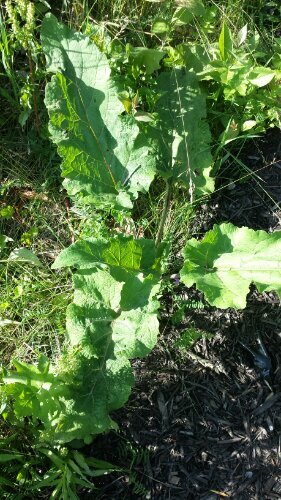 Burdock is another wild “weed” plant naturally existing in abundance throughout the ecosystem. This makes me smile through and through, because Burdock has tremendous healing properties for human beings. Just ask my friend John Otrembiak. Out of modest beginnings the prairie gardens will be a bold force to be reckoned with in no time. 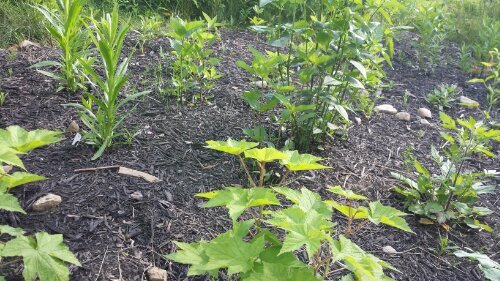 If the birds leave any raspberries on the native flowering raspberry bushes, the homeowners can have an enjoyable early morning stroll complete with berries for their cereal or smoothies. 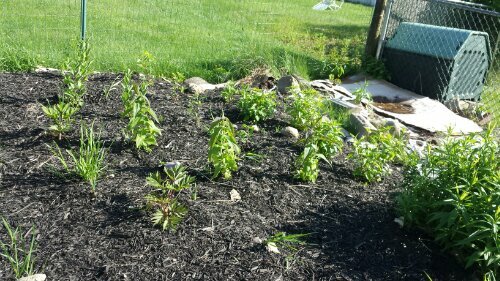 And, as always, or whenever possible, it feels great to provide Monarch butterfly habitat through use of Asclepias incarnata or A. tuberosa, the garden variety Milkweeds that Monarchs need to complete their life cycle. 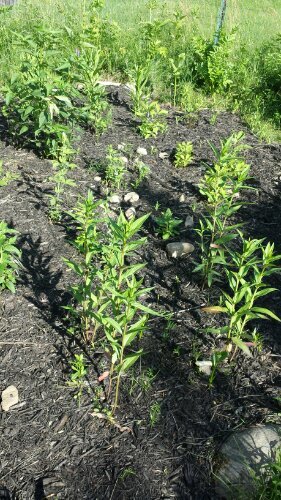 Building this lovely nature preserve garden in Ballston Spa, NY- designed by Jessecology- we were able to include 13 individual Pink Milkweed (A. incarnata) plants. Welcome, Monarchs!